Circulating Now welcomes guest blogger Russell M. Franks, Librarian for Special and Archival Collections at the Phillips Memorial Library, Providence College, who relates some of the history of the John E. Fogarty Papers collection now featured on NLM’s Profiles in Science. In July 2014, Rebecca Warlow, Head, Images and Archives Section, History of Medicine Division, National Library of Medicine/NLM, made Providence College an offer than was too good to pass up. For years, the College had sought ways to raise public awareness of its founding flagship collection, the papers of Congressman John E. Fogarty. So when Ms. Warlow, on behalf of the National Library of Medicine, invited the College’s Phillips Memorial Library to participate in a collaborative project to digitize a portion of Congressman Fogarty’s papers relating to his congressional work in promoting and advancing healthcare legislation, we immediately agreed. The culmination of this year-long collaboration can be seen on the National Library of Medicine’s John E. Fogarty Profiles in Science web site. As a member of and later as Chairman of the House Appropriations Committee’s Subcommittee for the Department of Labor and the Department of Health, Education, and Welfare/HEW, Congressman Fogarty increased the HEW budget exponentially and shepherded numerous health related legislative bills through Congress during his tenure. His papers contain documentation on virtually every important piece of federal health legislation from 1949 to 1966. “Knowing how much he [Fogarty] thought of Providence College and being mindful of the fact that he was always so devoted to the people of Rhode Island, I decided that the best place for the record of his public life to be kept would be the library of Providence College.” —Luise Fogarty, in letter to William P. Hass, O. P., President of Providence College, March 14, 1967. Thus the first major manuscript collection was acquired by the then newly formed Providence College Archives, which was spearheaded by the College’s archivist, Matthew J. Smith. Congressman Fogarty’s collection, which is over 150 linear feet in length, contains not only his legislative papers, but also personal and constituent correspondence, photographs, public documents and memorabilia from his time in Congress. When the College received the collection, press releases were issued, on-campus public exhibitions using Congressman Fogarty’s materials were mounted, and with an original grant from the National Library of Medicine, the collection was processed and a detailed 200-page finding aid was published and disseminated to interested parties and institutions. 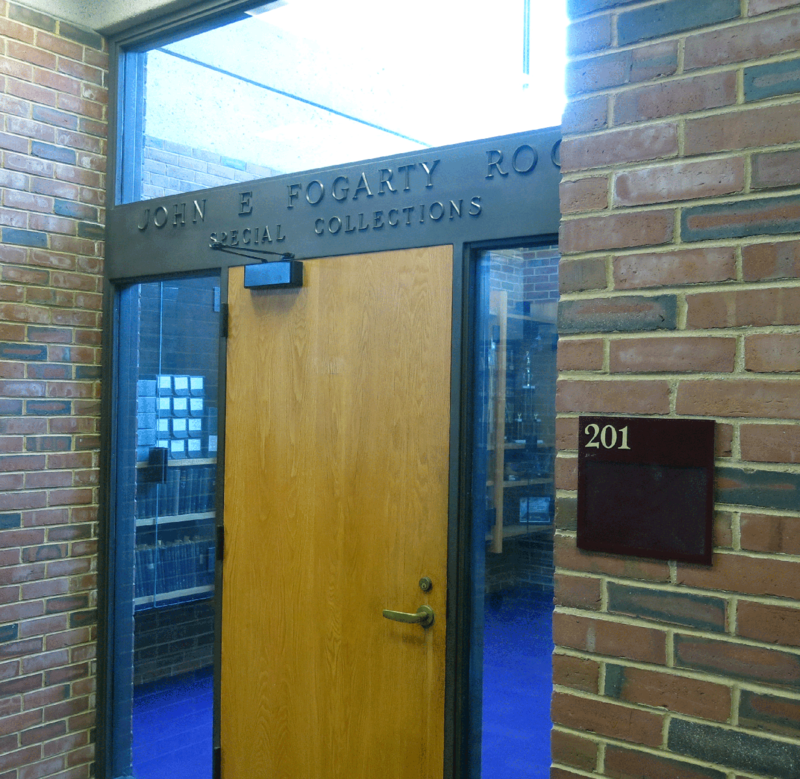 A special reading room on the second floor of the new Phillips Memorial Library was dedicated and named the John E. Fogarty Room to house the collection and to provide researchers a comfortable place in which to conduct their investigations. Over the years, the collection has been used extensively by various researchers for their particular projects, and the finding aid worked well for those researchers in the pre-digital era. For remote research, access was less than ideal. The original finding aid for the Fogarty collection was one of the first legacy inventories we converted to the Encoded Archival Description (EAD) schema for online use. In addition, we also digitized more than 350 representative images from the collection for virtual use. Still, the use of the collection did not increase significantly through these efforts. Interestingly enough, when the nation was debating the Affordable Healthcare Act of 2010 a few years ago, there were very few requests for use of the health related materials in the Fogarty collection. This was rather surprising since the framework for this landmark health legislation was first laid down decades ago by Congressman Fogarty and his colleagues in the Great Society programs of the 1960s. The donation of Congressman Fogarty’s papers, however, set the focus and collecting mission of the newly formed College archives. 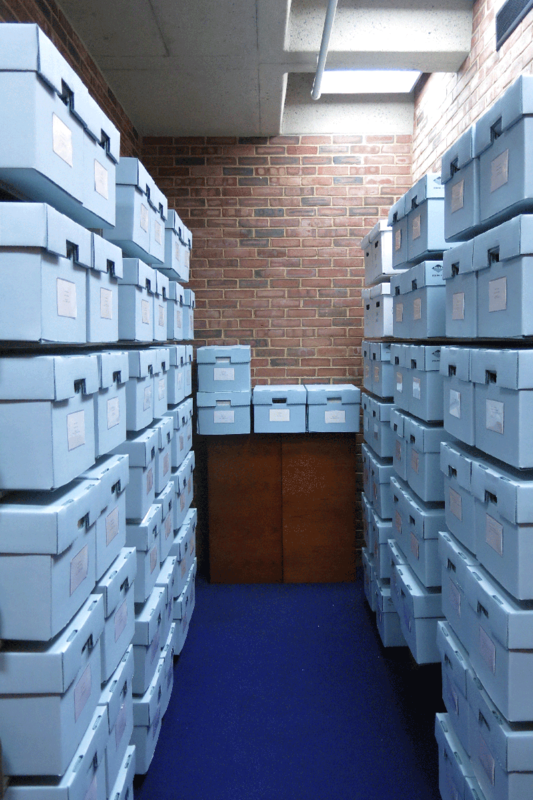 Since then, the College’s archival collections development policy has generally been centered on acquiring and preserving the papers of mid-20th century Rhode Island politicians at the local and national level. These holdings by the College include the papers of Rhode Island Governor Dennis J. Roberts (1927–1970), Congressman Amie J. Forand (1918–1972), and Senator John O. Pastore (1907–2000) among others. Rhode Island is proud of its native son, John E. Fogarty, and his legacy lives on through the work of The John E. Fogarty Foundation in advancing the quality of life for Rhode Islanders with intellectual and developmental disabilities. However, with the continued support of and collaboration with the National Library of Medicine through its John E. Fogarty Profiles in Science web site, Congressman Fogarty’s rightful place among the nation’s pantheon of health pioneers has been finally acknowledged and is fully secured. Healey, J. S. (1974). John E. Fogarty: Political leadership for library development. Metuchen, NJ: Scarecrow Press. Thank you for this comment! Healey’s book was one of our sources for this Profiles in Science site. 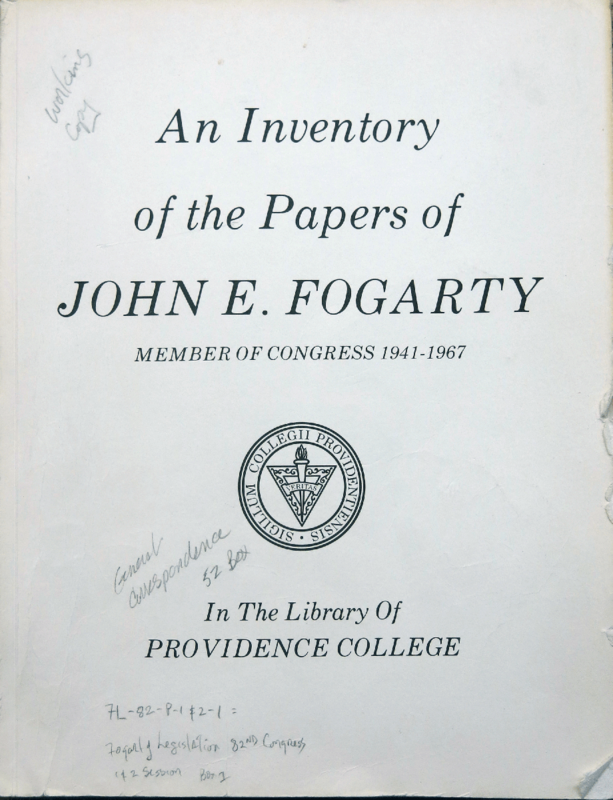 On the site you can see Fogarty’s speeches and legislation in support of libraries, including the Library Services Act, which are part of the rich collection of Fogarty Papers that were donated to Providence College. See the Documents and Visuals in the section ““Mr. Public Health”: Later Career, 1960-1967.” We hope you enjoy the site.